New York Times looks at the ongoing research into refined sugar's possible toxicity. The Independent on the transforming power of good teachers. The Smithsonian on the 'genderising' of colour and childrens' clothing. And if you get tired of all this text, skip to YouTube for 15 minutes of stimulating and illuminating chat between Jeremy Paxman and Russell Brand. Digital Photography Review have published an in-depth review of Nikon's $800/£640 (body only), low-mid range DSLR. "The D5100 is one of the most compelling products in its class, and offers an excellent mixture of straightforward handling, a well-targeted feature set, and excellent video and still image quality. 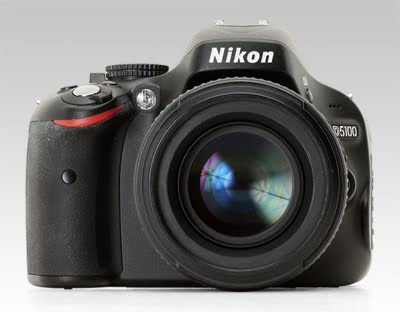 The D5100 is responsive and reliable in operation, and produces excellent images with a minimum of fuss." "A novice-friendly feature set and (relatively) wallet-friendly asking price belie an extremely capable sensor and AF system. We are left with a lingering worry, though, that the D5100's entry-level ergonomics might not prove quite so adaptable to the evolving needs of a first-time DSLR buyer as a camera like the Canon EOS 600D/Rebel T3." The WVIL camera is not a real product, but a concept camera. The patent-pending WVIL system takes the connectivity and application platform capabilities of today's smart phones and wirelessly connects them with interchangeable full SLR-quality optics. ‘Full atonement!’ can it be? Thanks to Antony for reminding me of this lovely hymn. 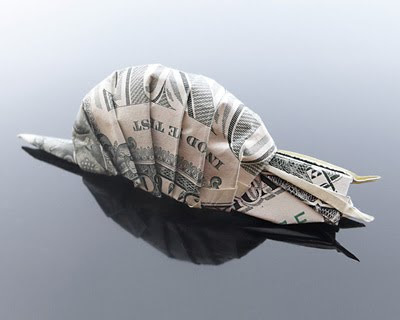 Craig Folds Five has a wonderful gallery of creatures created from banknotes. This image was created from 3,000 individual photos stitched together into a single image that is 280,000 x 140,000 pixels. 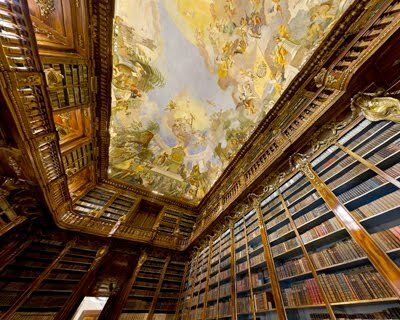 If you printed this photo it would be 23 meters long. 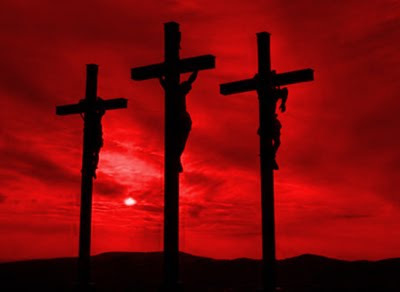 MERRY CHRISTMAS, HAPPY BIRTHDAY, HAPPY VALENTINES DAY, HAPPY EASTER, HAPPY THANKSGIVING, I LOVE YOU, I MISS YOU, HAPPY NAMEDAY, CONGRATULATIONS, HAPPY RETIREMENT, RECOVER SOON, GREETINGS WITH LOVE, YOU ARE THE BEST, FOR DAD, FOR MOM, ENJOY, ALL THE BEST, IT IS NOT A TIE, IT IS NOT A PERFUME. Nexi (above right) can blink, shrug and raise an eyebrow. He can walk about, shake hands and tell if you're angry or surprised. His plastic skin can sense human touch; a camera and infrared system allow him to see in 3D; and he can carry objects up to 4.5kg. And he's just one of the 32 robots created in Cynthia Breazeal's lab. Now, the director of the Personal Robots Group at MIT is letting them loose. "If we're going to make personal robots a reality, we need to get them out into the wild and see what happens," says the 43-year-old. "We're looking at small, robust, reasonably inexpensive robots that use smartphone technology, and trying to build a cloud-computing field lab to see how people interact with them." This next generation is intended for use as learning companions for children -- robust, stretchy and squashy, they don't have an official name yet but are referred to as "Tofu". 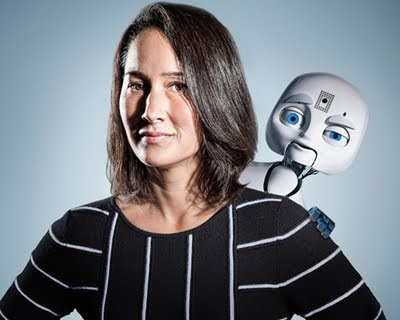 Breazeal is also teaching the droids the rules of human behaviour by crowdsourcing: "If they only interact with a few people, the robots don't get the life experience we take for granted." So she created an online game called Mars Escape, where players and droids collaborate. The lessons learned are uploaded to a robot that sits in the Boston Museum of Science, talking to visitors. "It's about building a memory to use to interact with new people," she says. Breazeal sees applications in healthcare and education, but her goal is a real-world R2D2 and C-3PO: "They inspired me. They had emotions, they were friends with people. They're the kind of robot I'm trying to achieve." The beauty of Sphero is that the function of Sphero isn't determined by the physical device, but by the software that is controlling it. For instance, a RC car is always a RC car, but Sphero could be a game of Sumo, a game of Office Golf, or even a wrecking ball knocking over augmented reality glass towers in your living room. We chose Bluetooth as the wireless connection for Sphero. All you have to do is pair with the Sphero once and you're all set. The next time you want to use Sphero simply tap it twice to wake it up and it will automatically connect to your phone! Using an RGB LED light, Sphero can glow in thousands of different colors. Choose your favorite color with the on screen color picker or choose your team color in a multiplayer game of red vs blue. You could set Sphero to glow red when a particular stock goes down and green when it goes up or maybe set it to glow blue if there is a chance of rain and a shade of red depending on the current outdoor temperature. Induction charging has been commonly used in electric toothbrushes. We have brought the technology to Sphero. No wires are required, nothing to plug in, simply set Sphero down in its charger base and electricity will be wirelessly transmitted into Sphero to charge the batteries. In a traditional remote controlled device, like a RC car you have two basic controls, front and back, left and right. When the RC car is driving away from you if you turn the control left, the car will turn left, turn the control right, the car will go right. When the car is driving towards you, however, the controls are reversed. If you turn the control left, the car will go right. With Sphero this isn't the case. 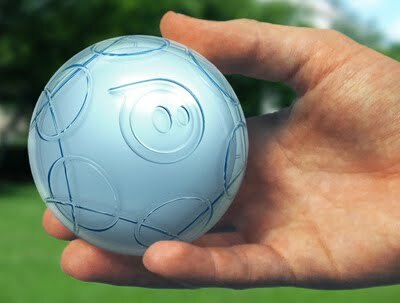 No matter how Sphero is oriented if you push the control right, Sphero will go right, push the control down and left, Sphero will roll down and left. Available late 2011. Price approx. $100. A 16-billion-pixel image of Leonardo da Vinci's The Last Supper is now online. The digitized version, produced using special techniques designed to protect the fragile painting from damaging light exposure, gives anyone with an internet connection a chance to dig deeper into Leonardo's techniques than ever before. 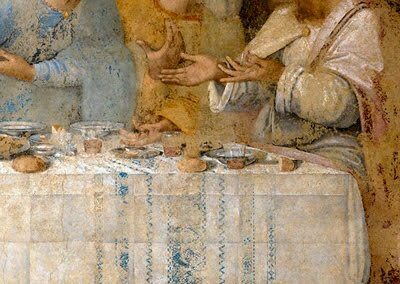 For a close-up on the workings of a genius, Marani recommended viewers search the Last Supper for the church bell tower and shrubs outside the windows, the patterns and wrinkles in the tablecloth, the reflection of an orange wedge in a pewter plate in front of Matthew and the perspective lines in the upper left-hand corner that lead (imperfectly) to Jesus' eye. To view the painting, visit Halta Definizione (free subscription required to view highest definition). 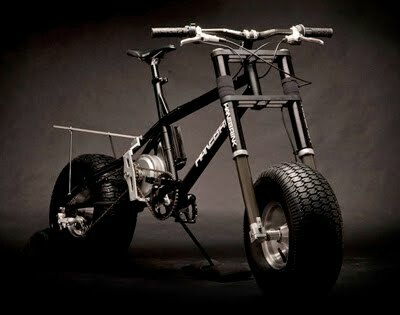 The Hanebrink Electric All-Terrain Vehicle combinrd state-of-the art green technology with an on-demand hybrid electric system and the latest in bicycle technology. Crank the throttle and the 600 watt motor powers the HANEBRINK to speeds up to 20 mph. If you want to go faster, start pedalling. Three design features help the HANEBRINK achieve outstanding on and off-road performance. — The widest tyres in the industry. The 20 x 8 inch tires radically increase the surface area where rubber meets road for enhanced stability at all speeds, added traction on rough terrain, and unprecedented float on sand and snow. — A mid-mounted, bracket supported motor optimizes the vehicle’s center of gravity beneath the rider and enables tight turns, rapid weight shifting, and provides more stability. — 14 speed gearing tuned for a wide variety of surfaces, grades, and utility applications including a low range capable of carrying up to 300 pounds of bulky cargo up steep terrain or deep into inaccessible areas. With a single Lithium ion battery, the Hanebrink has a one hour run time and three hour recharge. For longer excursions, the rear rack can be fitted with up to five lithium ion batteries, a run time of over 5 hours and more than 100 miles of riding. The rear rack can hold up to 100 pounds of cargo. Pablo Impallari is a Php programmer who has recently turned his attention to typography and font development. 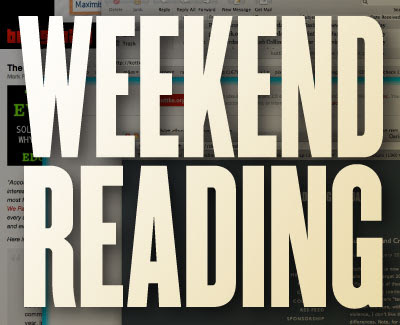 Cabin Font is a clear, readable san-serif that falls somewhere between Bliss and Trebuchet. It is available in three weights, including a full set of true italics (unlike Bliss!). Quattrocento has a 'Roman inscription' flavour. It's no Trajan, but works fine in upper case. Dancing Script is a pleasant lightweight erm... script. Terminal Dosis Font is a postmodern sans that falls somewhere between Din and Isonorm... some of the kerning pairs are awful, but it is very readable at small sizes. 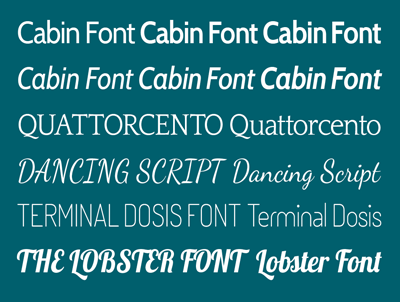 The Lobster Font is a bold display script with some pleasant flicks and touches. For a sample PDF, click here. And they're all available as webfonts. 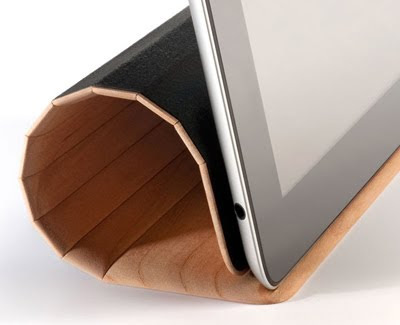 Miniot produce a range of beautiful wooden covers for the iPhone, iPod touch and now for the iPad 2. Thanks for Conrad for the link. Average nail clippers just don't get the job done. They're ugly. And tear the nail instead of cutting it. - A falling rate cam makes cutting thick nails easy. - You apply pressure directly over the nail you're cutting. This creates a more comfortable grip. - Smooth, single blade cutting: Double blades either dull each other or tear the nail. 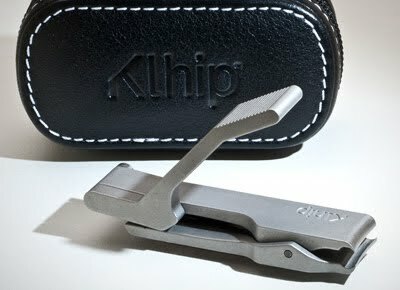 Klhip's single blade cuts so cleanly and precisely that filing isn't necessary. - 17-4PH surgical stainless steel holds up to a lifetime of use. 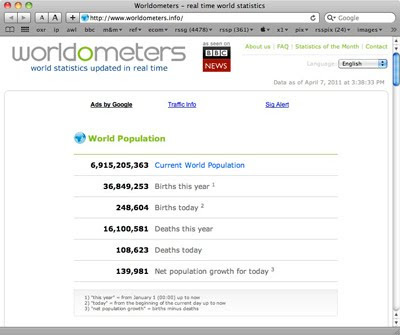 Worldometers is part of the Real Time Statistics Project, which is managed by an international team of developers, researchers, and volunteers with the goal of making world statistics available in a thought-provoking and time relevant format to a wide audience around the world. 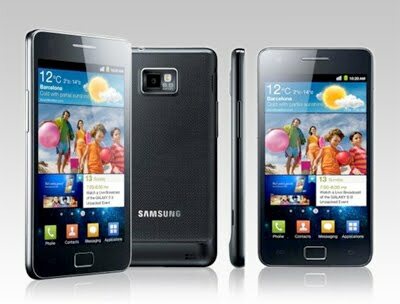 Register Hardware has published a review of Sony's flagship Android smartphone. 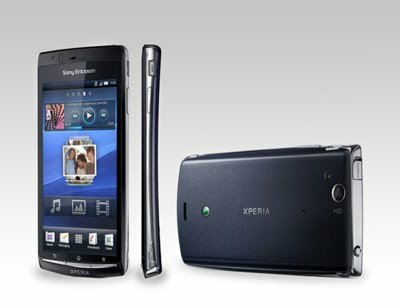 "Sony Ericsson’s Xperia Arc is a very classy phone. It looks refreshingly different from other Androids and keeps pace with HTC for usability, but beats the Koreans soundly with a quality camera and a stonkingly good screen." 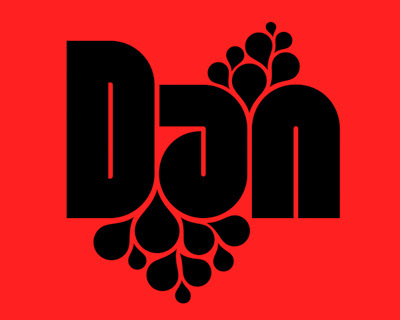 Dan is applicable for any type of graphic design – web, print, motion graphics etc and perfect for t-shirts and other items like posters, logos. 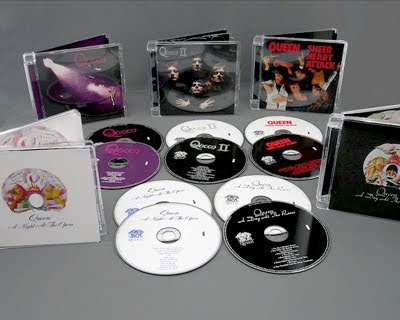 The original CD masters of Queen's work were dreadful, with a disappointingly weak and muddy audio quality. The remastering duties were handed to the excellent Bob Ludwig, and he has extracted a surprising amount of extra detail from the original tapes, while keeping the sound pleasingly 'analogue'. The extra tracks are demos, which are fun for the devoted fan, but not a compelling reason to purchase. The first two of the Greatest Hits albums have also been remastered to a similarly high quality. 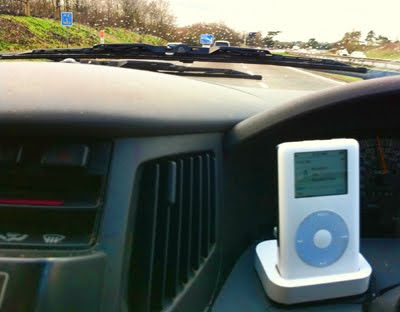 Transfer music, and everything else, from your iPod or iPhone to your Mac or PC (PC version available 'soon', Ed.). If you’ve lost the media collection on your computer, you can easily restore all the contents from your device using iRip 2 and its syncing assistant. Transfer playlists, movies, TV shows, podcasts, photos, ringtones, audiobooks, and e-books (phew). Copy individual items or entire media libraries over, to either iTunes or your desktop for easy archiving. 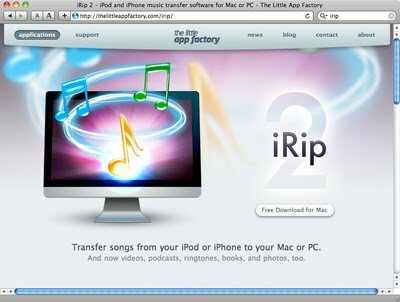 iRip 2 is not just for media transfer and recovery, it also lets you browse and preview the contents of your iPod or iPhone. Play music right off your device, or view your photos and videos. iRip 2 is a desktop-sized window to your iPod or iPhone. iRip 2 was designed with convenience in mind. Music and other media are copied directly into iTunes without the need to manually import files. iTunes-specific metadata such as play counts and purchase dates are also transferred over. You can download a free song-limited trial version, with the full version costing $19.95, or a family pack to use with up to 5 computers for $30. 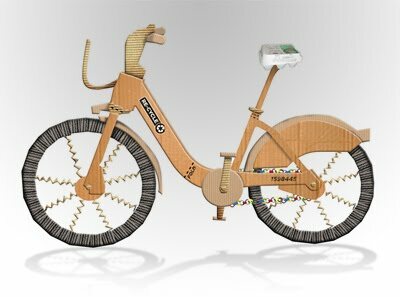 It has to be seen to be believed, but riding on the success of their award-winning Paper-Pulp Canoe, German engineers Zeug and Unsinn have created the Re-Cycle Cardboard Bike – set to revolutionise the way we get around city spaces forever! 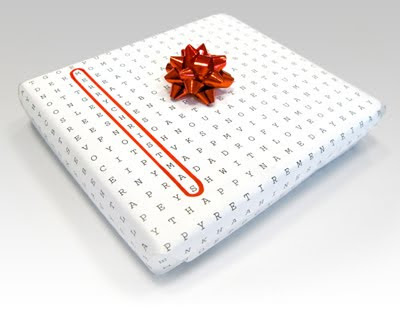 Made from the equivalent of two hundred red-top tabloids, the Re-Cycle is light, easy to carry and simple to assemble. In the time it would take you to flag down a cab, just follow the step-by-step instructions to pop, fold, score and tear the pieces you need to assemble your bike in a flash. No glue, tape or staples required.